It’s the end of the first week in January, and the year 2011 is upon us in full force. Looking back, 2010 was a heck of a year for this little band. For one thing, this website didn’t exist at all this time last year. Heck, I didn’t even own the domain. But just one year later and now we’ve got the main site, a facebook page, a twitter account, a Bandcamp-powered music site, a behind-the-scenes mailing list, an Amazon artist page, an iTunes storefront, and a bunch of other stuff that I’ve probably lost track of. When I look back at it, Psycliq really exploded in 2010, digitally speaking. Psycliq was very busy musically as well. First, there was the introduction of Mergers & Acquisitions, Inc., a remixes and covers collection that is available for free download right now. And this isn’t a regular album, either. Thanks to the wonders of digital distribution, I’ve been able to update it over time. In fact, if you downloaded it early in the summer, there are two new songs on it that weren’t there before. In the future, there will be more songs that aren’t on there now. I find this prospect awesome. Along the same lines, the special Christmas album Light the Tree for Some Holiday Cheer got updated this year with another new song. It’s my plan to add a new song to this every year so long as I can. It’s also available for free, but only during the holiday season, so you’ll have to wait until December again if you want a copy of it. And of course, there was the production and release of Results Not Typical, an ambitious 17-track album of jazz, blues, rock, and other stuff. A definite departure from the norm, it was a lot of fun to make, and I’ve gotten back some great comments on it. As with every project so far, I’ve learned much about production and recording that I can’t wait to apply to the next effort. 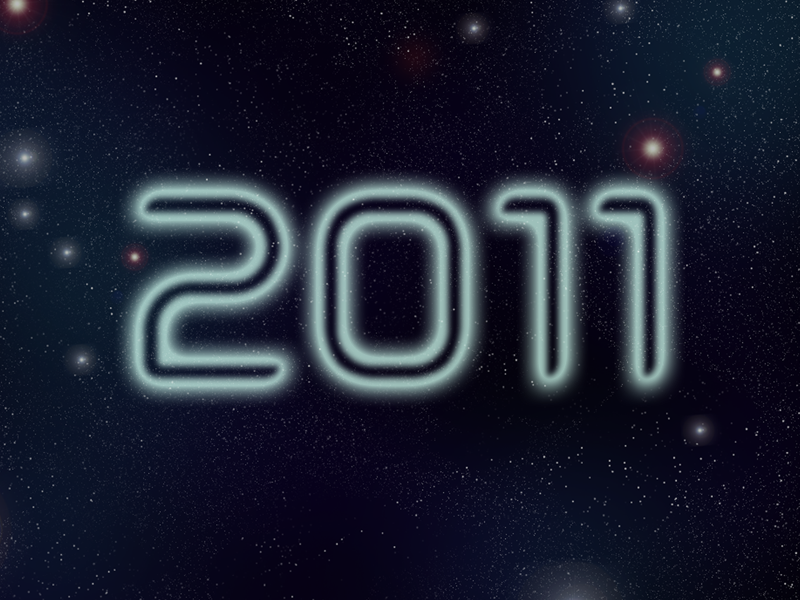 Speaking of which, what’s in store for Psycliq in 2011? As the members of the Electric Goodies Newsletter already know, I’m already working on new music. I picked up a new synthesizer this summer, and the sonic palette available from it has been inspiring. I also recently got a MIDI controller from a friend, which along with the NanoKontrol I got for Christmas makes software synthesis much more feasible. I’ve been trying out these new tools and getting used to what I can make them do by sketching out new ideas. All said, I’ve got a handful of songs sketched out at different levels of completion that will probably make it into the next album. I’ve even probably got a name and art direction picked out for it, but I’m not ready to reveal those yet. I will say that the Electric Goodies members have access to the three-part “title track”, and that the first person to email me with a correct guess before I announce the title gets a free copy when it comes out. So when is it coming out? I have no idea at this point. I’d definitely be working on it throughout the year wherever I can, but life has a way of getting in the way. For instance, I’m finishing my master’s degree this coming semester, which is going to be more work and insanity than I’ve ever dealt with at once. This is especially true since I’m not quite a rich rockstar yet and still have a full-time day job. This means that Psycliq will probably get a little quiet for the next few months, but it doesn’t mean that I’ve disappeared. For even with all this, I love to make music and couldn’t imagine not doing it. And digital distribution makes it easy to just put out things without there being a traditional “album” to put it on. And I’ll almost certainly have something up in Mergers & Acquisitions, and I’ll of course be doing another Christmas song at the end of the year.